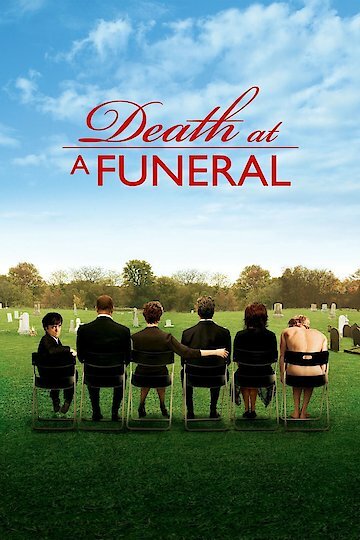 Death at a Funeral is a raucous caper comedy centered around the funeral of a family's beloved patriarch. Circumstances take a turn for the awkward when a stranger, played by Peter Dinklage, arrives at the funeral and seems to know a little bit too much about the deceased man's dysfunctional family. Every family has a few small secrets, although some small secrets are a lot bigger than they may appear at first glance. This family is no exception to the rule. All secrets are set to come to light, though, unless the dead man's sons can put an end to a blackmail plot and bury their father in peace. Between the two rivaling sons battling to bury their father's secrets, the drug induced drama of another funeral guest, and a few romantic missed connections and there isn't a dull moment in this film. Starring Matthew Macfadyen, Keeley Hawes, Alan Tudyk, Andy Nyman, Peter Dinklage, and Ewen Bremner. Death at a Funeral is currently available to watch and stream, download, buy on demand at Amazon Prime, Sling, Vudu, iTunes, YouTube VOD online.